AC Contractors serves East Texas homeowners in need of Lindale AC repair and heating maintenance. All of our contractors are trained and qualified to perform in depth assessments that check for the tightness of belts, electrical connections and more. With fully stocked trucks, we’re able to fix most problems on our first visit. Also, all repairs and installations come with our satisfaction guarantee. 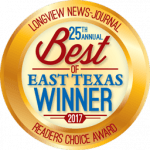 Do You Need Lindale Heating and Cooling Repair? Air conditioning units do not last forever. They tend to need more maintenance and repairs toward the end of their lifespan, though it’s not uncommon to need some major repairs in between. Living in Texas, you need your AC unit, so it’s important to pay attention to your system and get the proper Lindale heating and cooling repair at the first sign of trouble. Here are some of the things that we tell our customers to pay attention to. These red flags are an indication that Lindale AC repair is needed to get things running efficiently again. The best way to prevent your AC from having a complete breakdown is by calling for AC repair in Lindale TX at the first sign of trouble. We can always fix small problems quickly and economically, but big problems are more cumbersome. If it’s time for a replacement, our technicians will let you know. They can help you choose a cost-effective HVAC system that will save on utility costs and possibly be eligible for rebates! To schedule your appointment for Lindale AC repair, call AC Contractors today!